What does The Wanderer really say? Q. [NB]Setting aside the question of timing, please explain how the process for the execution of a “formal correction” would proceed should a response to the five dubia not be forthcoming? How is a formal correction officially submitted, how is it addressed within the Church’s hierarchal structure, etc.? So, the Cardinal describes what we pretty much know already. He speaks in vague terms about what “would be” done. It seems to me that we shouldn’t jump to any conclusions about this. I don’t have the sense that something is about to take place any day now. Meanwhile, do you know what you could do to help the overall situation? We can resist cloudy, hazy, vague claims by those who want to undermine the Church’s perennial teachings. Ask questions… well-informed questions. 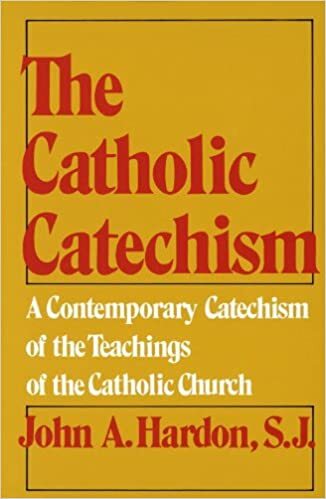 Form small groups – little “base communities” – and start reading the Catechism of the Catholic Church together, and perhaps other documents such as Familiaris consortio and Veritatis splendor. This entry was posted in The Drill and tagged Amoris Laetitia, dubia, Raymond Card. Burke, The Wanderer. Bookmark the permalink. 16 Responses to Possible “formal correction” of Pope Francis? What about a duel? Rosaries at dawn, at 10 paces? Cardinal Burke gave a great talk at a local parish near me a while after the dubia were asked. He was a model of decorum. He said nothing out of line, and said a great deal worth saying. We should pray for him and the other cardinals that they go about this the right way. If they do it inappropriately, with pride or haste or malice – or even appear to have these – they can cause immense damage to the Church. Like St. Catherine of Sienna at Avignon, like those who resisted Liberius, it must be done in complete charity and all due obedience to the Holy Father. We should also pray that the Pope will not attempt to silence them. This too would present opportunity for untold damage to the Church. We could also pray that he decide to give the response the cardinals are asking for: grace moves mountains. Given the likely outcome of the next conclave, the “process of a formal correction” must take place in the current pontificate. The gravity of the move will force an examination of conscience across the Church. Were the “process of a formal correction” not to come about, license will have been given for far worse currents to erupt in the not distant future. I wonder if His Holiness will simply remain silent on the dubia for the remainder of his pontificate, in a way similar to Blessed Paul VI, who remained silent in the face of tremendous criticism following Humanae Vitae. That would mean the controversy would be kicked down the road to the next pontificate. Oh yea? the liberal cardinals can do what they want, say what they want, and proclaim the “new church” post Vatican II. How sad, Oh Dear Lord please send us another St. J.P.II or another Pope Benedict XVI! With interviews like this, I think Cardinal Burke is preparing the public for the eventual correction. I may not like how slowly this process is moving, but I think Cardinal Burke is making sure that your average Catholic has plenty of time to get used to the fact that a correction is coming so that there is not a wholesale freak-out when it comes. Well, there might still be a freak-out, but no one should be surprised when it happens. Fr. Benedict Groeschel (+RIP) before he died used to go many places throughout the country giving conferences battling “cloudy, hazy, vague claims by those who want to undermine the Church’s perennial teachings”. I saw/met him once. A good Church man. He was mostly focused on modernist interpretations of the Bible (the denial of Christ’s miracles, the innerancy of Sacred Scripture, and so forth). Of course he would say it in that good ol’ Jersey brogue. He always cracked me up. But perhaps encouraging my own “base community” read up on Church teachings and doctrines would do pretty well. An organization called Flocknote offers at no charge an email program called Read The Catechism in A Year. Some 120,000 people worldwide are participating, and recieve daily email (Mon – Fri) such that the CCC is read cover to cover in one year. It’s a very useful service. Lavrans says: I wonder if His Holiness will simply remain silent on the dubia for the remainder of his pontificate, in a way similar to Blessed Paul VI, who remained silent in the face of tremendous criticism following Humanae Vitae. That would mean the controversy would be kicked down the road to the next pontificate. The two situations are not comparable. Humanae vitae was not controversial: it very clearly spelled out the immemorial teaching of the Church (as well as some prophecies that have now been fulfilled to the letter). The “controversy” was merely dissidents breaking cover. many other news outlets including CNN and worldwide networks that have anti-Catholic leanings. Catholic will be wondering wth is going on here?